Established in 1907 by the Kuhn Brothers, as part of the North Side Twin Falls Canal Company, the town of Jerome took its name from Jerome Hill, one of the investors in the project, and a brother-in-law of W.S. Kuhn. The city of Jerome became a municipal corporation on March 24, 1919.The city of Jerome is the economic center of Jerome County. Farming and Agricultural related industries still dominate the economy of Jerome, but the city is broadening its economic base in the service sector, manufacturing and retail trade. Jerome’s downtown serves as a civic and retail center. 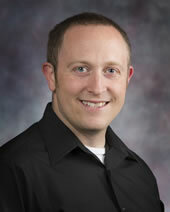 Josh Kern, M.D.Dr. Joshua Kern graduated from the University of Washington School of Medicine in 2005. He did his residency training at the Family Medicine Residency of Idaho and finished in 2008, where he was one of the chief residents from 2007-2008. He moved to Jerome to start his practice because he realized he dislikes traffic, he ended up traveling to the wild places many weekends and rarely utilized the urban necessities we are told we all need. He enjoys running, biking, hiking, backpacking, wine, cheese, reading, and church. Jim Irwin graduated from the University of Utah in 1980 and served his residency at Family Medicine Residency of Idaho in Boise. He has served as an auxiliary faculty member with the University of Washington since 1983 and a clinical faculty member of Idaho State University for many years. He is currently an assistant clinical professor with the University of Washington and director of the Continuity Clinic for the Magic Valley Rural Training Track. He is a recent recipient of the Alumni Community Service Award (2005). 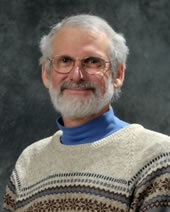 Dr. Irwin was also Jerome Citizen of the Year for 2010 and the Idaho Family Physician of the Year in 2011. He maintains a busy office practice in Jerome as well as serving as a medical consultant for the regional Child Development Center. Dr. Irwin loves the full spectrum of family medicine—from obstetrics and babies through complicated internal medicine and into old age. He is especially interested in evidence based medicine, including alternative therapies to the optimal care of each individual. Dr. Irwin is actively involved in keeping our environment healthy. 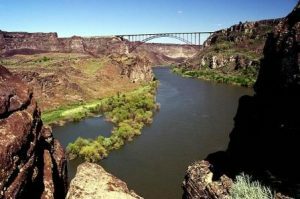 He has been instrumental in organizing cleanup for the Snake River Canyon between Centennial Park and Pillar Falls for the past 15 years. He has helped numerous boy scouts achieve their Eagle through involvement in cleanup efforts and other projects such as wood duck boxes. He and his wife, Lorna, have been married for more than 36 years and have 3 children, a profoundly deaf daughter in graduate school and 2 sons completing college. His non-medical interests include hiking, hunting, fly fishing, photography, scuba diving, and playing with his “gorgeous mules”. Hospital Rounding – There are no hospitalists in Jerome. Some inpatient staff with Peds, etc. Psychiatry Opportunities – There are some psychiatrists in town. Dr. Kern will explore this in more detail. OB – Josh Kern and James Irwin do OB along with a rural Shoshone FM physician Dr. Keith Davis, and a couple of nurse mid-wives. C-Sections done by James Irwin. All willing to work with students. At St. Luke’s Clinic Jerome Family Medicine, we provide personalized care for the entire family. Our team of board certified Family Physicians and our Nurse Practitioner are here to be your primary source of medical care. We are a clinic that prides itself on caring for our patients as a part of our family. 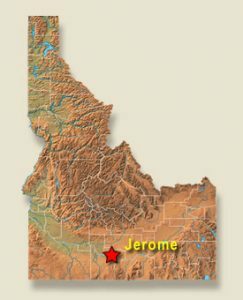 During the WRITE experience, students in Jerome will work with the Family Medicine Residency of Idaho (FMRI) Rural Training Track (RTT) residents. Dr. Kern is the Program Director for the Magic Valley RTT. The FMRI RTT Collaborative is an emerging network of individuals and programs committed to sustaining health professions education in rural places. This experience provides you with a team learning approach to medicine. Students may also work alongside UW medical students completing a portion of their rural FM Sub-I in the Magic Valley. This learning environment is unique to the Jerome WRITE site in Idaho. We provide care for all ages from newborns to seniors and for most medical conditions including pregnancy and delivery. Our office even provides 3D/4D Ultrasound exams. 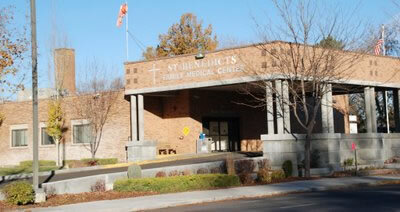 We are conveniently located behind St. Luke’s Jerome (formerly St. Benedicts Family Medical Center). We welcome Blue Cross and Blue Shield, most other insurance plans as well as Medicaid and Medicare. Jerome Family Medicine Clinic – Offers quality family medicine, obstetrics, occupational medicine, orthopedic and ENT physician services. Multi-Specialty Clinic – Specializing primarily in gynecological care for women of all ages with rotating specialty care in cardiology, spine surgery and general surgery. Our team is appropriately licensed and specially trained to serve patients. They also have the dedication and reliability needed to provide healthcare services with the high standard of quality and commitment you and your family deserve. The new St. Luke’s Magic Valley Medical Center opened to the public in 2011, but our history dates back to 1918, when we opened our doors to serve the needs of early settlers. Like then, we still serve the needs of people from eight southern Idaho counties and parts of northern Nevada. Our mission and values have remained firm and our vision of a healthy community has remained clear. A new Magic Valley Medical Center facility was constructed in the early 1950s, followed by a $27 million construction and renovation project in 1983. In 2002, Magic Valley Medical Center and the Twin Falls Clinic and Hospital forged a partnership to bring improved medical care to south central Idaho. The new partnership expanded our medical staff to more than 160 multi-specialty physicians. 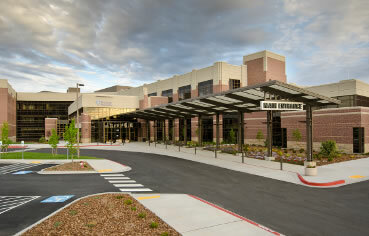 In 2006, the residents of Twin Falls County voted to partner Magic Valley Regional Medical Center with St. Luke’s Boise, Meridian, and Wood River. Joining St. Luke’s Health System and changing our name to St. Luke’s Magic Valley Medical Center meant that patients would still receive the same high standard of care with the added backing of an Idaho-based, locally-governed health system. It also led to the construction of a brand new, state-of-the-art hospital— the most technologically advanced hospital in the state. Accredited by the Joint Commission on Accreditation of Healthcare Organizations, St. Luke’s Magic Valley Medical Center serves a population of more than 180,000 and provides medical expertise and services to smaller hospitals as a referral center. As our region continues to change and grow, St. Luke’s Magic Valley will be here for you and your family. Through our not-for-profit mission we will reinvest every net dollar into the technology, staffing, programs, and services that will most benefit the people we serve. We thank you for the confidence you place in us every day, and for being our partner in the future of health care in south central Idaho. There are several residential care facilities in the area. Most people fly into Boise and drive to Jerome. It’s about a 2 hour drive from Boise taking I-84 and ID-25 East.To see a map of where we are located and/or get directions from other locations, go to maps.google.com (for directions, click “Get Directions” in the upper left-hand corner where you can input the starting address). Base jumping world jump competition, white water, Jet boat with Dr. Irwin, golf, fishing, zipline, XC ski, biking, equine, hiking, bird watching, hunting, and skiing nearby.